Have you had an online moving quote? You probably have had two experiences: 1) It seemed really steep or 2) It seemed reasonable but then the moving company started to add taxes and fees. Online moving quotes are deceptive mainly because there is absolutely no way for the mover to fully know what you are moving from having you enter the number of rooms. Moving companies tend to count rooms differently than most people, so what you report might be completely different than what they see. Also, if you aren’t moving all of your items, then you may not know how many rooms to select either. 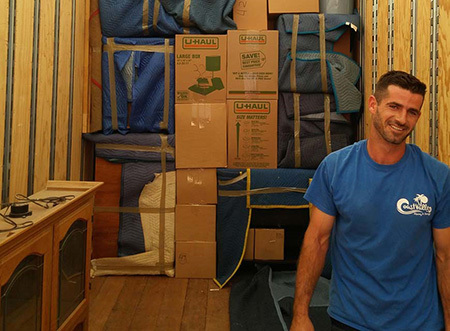 Coast Valley Moving has seen this happen time and time again which is why they offer in-home estimates! In-home estimates allow the movers to look at the items you are moving so that they can give you a more accurate price. They serve all of Southern California so whether you are looking for Newport Beach movers or San Clemente local movers, you can depend on Coast Valley. They are proud agents of Wheaton Van Lines with an excellent BBB rating. They also have earned the Good Housekeeping Seal of Approval so you know you are getting service from a quality company. Superior service from a reputable company with a no nonsense estimate, what’s not to love? Call or visit their website to learn more about their residential moving services and schedule your FREE in-home estimate today!